TV | Looking for something to binge-watch now that you've breezed through Season 3 of House of Cards and can't control your impatience for the next Sunday night episode of GoT to arrive? Netflix has known for a while now that binge watching is the way to consume television, and proved that again with the release of the 13-episode original series DAREDEVIL. 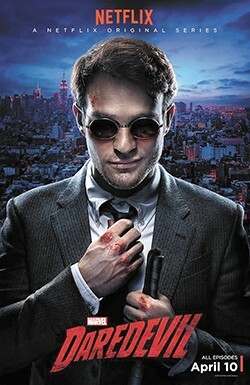 Based on the Marvel comic series of the same name, the series follows Matt Murdock (Charlie Cox), a blind lawyer by day/vigilante crime fighter by night, as he struggles to contain an evilness sweeping New York City's Hell's Kitchen. The tone is dark and the stakes are incredibly high. Welcome news to the already enamored fans and critics of the show — Daredevil has been renewed for a second season to premiere next year. 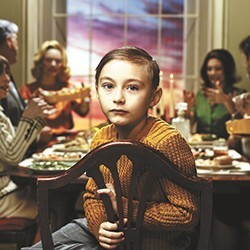 MUSIC | While perhaps not as euphoric or dance-y as Passion Pit's 2009 debut Manners, the Cambridge, Massachusetts-formed synth pop group's third full-length album, KINDRED, released last week, is no disappointment to fans who've stuck with them this long. Their first single, "Lifted Up (1985)" dropped in mid-February and has already received 4.8 million listens on Spotify. As a whole, Kindred sounds more like the "old" Passion Pit, before bandleader Michael Angelakos had openly shared his ongoing battle with mental illness preceding the release of sophomore album Gossamer. In sum, Kindred is a retrospective look at where Angelakos has been and, optimistically, where the future may take him and his music. WEB | Lovers of tech, music, men's fashion (ladies, let's change this!) and nerdy games/hobbies: MASSDROP may be the online retail community you've been missing out on. Though it offers a somewhat odd mix of product categories — from quilting supplies to high-end ink pens and trading-card game accessories — Massdrop is a site to buy stuff that's either niche or hard to find, and for a fair price. Want the site to offer a fancy mechanical keyboard? Start a poll. Other users then vote for what item they're most interested in, and (if it can), Massdrop will order 100 or so from a vendor and sell 'em. As more orders are placed, items' unit prices drop.